Cola and whiskey are a great combination, but dumping a bunch of high fructose corn syrup into your glass isn't the best way to mix a drink. 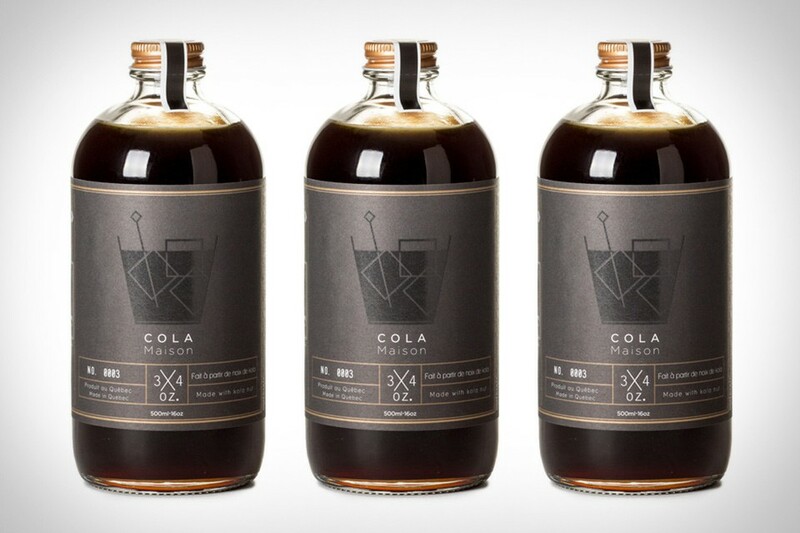 Cola Maison Syrup is handcrafted in Quebec using all natural ingredients like Kola Nut, along with essential oils to help create a perfect complement to your favorite whiskey. One bottle serves about 25 drinks, from a Jack and Cola to your own signature cocktails. Every great cocktail is a delicate balance of flavors, some sweet, some sour, but always properly mixed. The Panch Cocktail Key makes it easy to replicate classic recipes and create new ones. Based on the classic punch cocktail, which has a fixed ratio of sweet, sour, strong, weak, and sometimes spicy flavors, this thoughtful bar tool features a tiered inner cup with ridges that define how much of each ingredient to add, and a detachable base that serves as a guide for soft/weak juices, sodas, and similar ingredients. By making mixology as simple as filling the cup to the next line, it can help even the novice barkeeps create tasty libations. It's like a koozie. Only better. The Arctican bests the venerable summertime drink wrap in a number of areas. Using a cooling core that you store in the freezer, it can keep your drinks colder than a traditional foam cover, and can do so for up to three hours, or long enough to enjoy several favorites before it's time to re-freeze. It also looks way better, too, with a double-wall stainless steel build, and since it fits most 12 oz. cans, it can handle everything from craft beers to artisinal sodas. Or Mountain Dew. Your call. Lightweight yet surprisingly rugged thanks to thermoplastic resin construction, the Ka-Bar Ka-Barley Bottle Opener will fit right in with your other tactical gear. Features include an oval-shaped handle with a hole in the bottom for attaching a lanyard, and teeth around the main opening for making short work of stubborn screw-tops. Carbonation can add an intriguing pop to pretty much any beverage. And the Sodastream Mix proves it. This bar-friendly gadget boasts a built-in touchscreen that gives you access to tons of mixed drink recipes — alcoholic and non-alcoholic — and recommends a precise level of carbonation based on the ingredients. You can load up your favorite drinks to the machine right from your phone thanks to Bluetooth connectivity, and with a Yves Behar design, you won't feel the need to hide it in a cabinet when it's not in use.